Is there any way we can enable multiple users in Windows 8?If there is please tell how do we add another user account .It was easy to make an additional account on Windows 7 but do not know about Windows 8. How to merge contact information in People app in Windows 8? What has to be done for changing the color of calendar events in Windows 8? Is there any option for multiple profile creation on Toshiba windows 7 laptop? 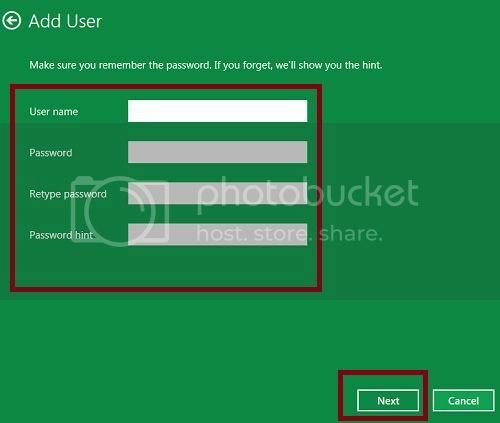 Re: How to create multiple accounts in Windows 8? 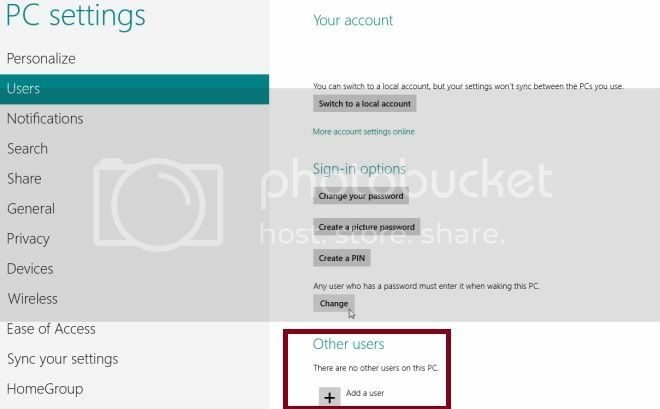 Its very easy to create multiple user accounts in windows 8. You may create user account with or without using the windows live ID. From the Start screen, go to Control Panel. Switch to the large Icon view. Click on the User Accounts option. Click on Add a User option. In the new window , click on the Local account option. In the add user window click on the account type. 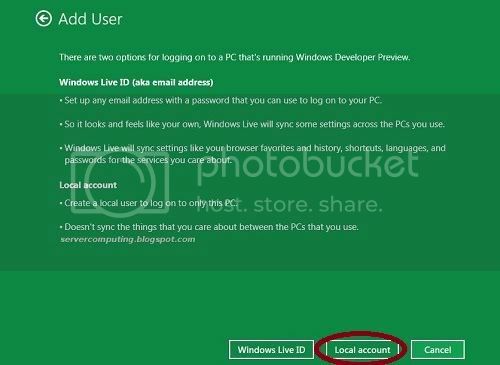 If you want want to create windows live account then give your ID-else click on More Logon option. In the next step, provide USERNAME, PASSWORD etc. The last window to of this process will appear & click on OK to make the account. 1.With the help of right pointer on mouse,go to personalization and select settings. 2.Then go to control panel and then select user accounts. 3.The click on add user. 4.And then follow the instructions and provide all the information. Press Windows key then C from the keyboard to open the option box. Click User accounts. Select Manage another account, Again Select Create New Account, Provide new name for the new account and so on. Click Create Account and you are through. Then Click on " Sign Up with out Microsoft Account "
Then click on " Local Account "
1.Firstly move your mouse cursor to the right side of your screen. 2.Then you click on the option 'PC Settings'. 3.Then a new tab will pop-up. 4.Then you click on the option 'Users'. 5.Then you click on the option 'Add a user'. 6.Then you fill all the details of that user. 7.At last you can create a user account in your computer. Mmethod to integrate Social Networking Accounts to my Windows Phone?